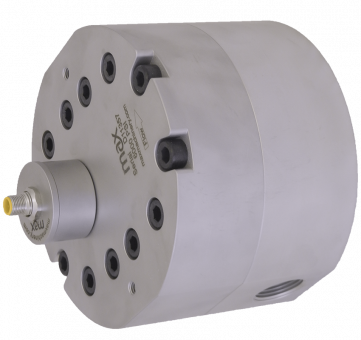 Testing of hydraulic valves, pumps and cylinders covers a wide range of flows. From full flow rates at pressure to small leakage rates, the wider the test stand’s capabilities the greater its ROI and usefulness in the plant. Max products have the ability to measure any viscosity fluid without a need to adjust the meter’s K-Factor. 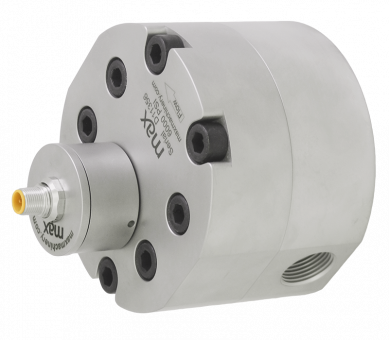 Max Machinery’s transmitter technology provides for a more robust and reliable signal, an insensitivity to vibration or flow ripple, and prevents over reporting due to pulsations in the system. Bi-directional fluid flow measurement is available on all products. 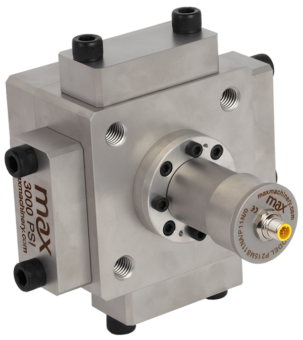 Max Precision Flow Meters provide the operator the ability to precisely test hydraulic components, fine tune flow rates, and create flow control loops in their systems. The meters are rugged, dependable, and not affected by changes in the fluid viscosity or flow profile. Even pulsating flow streams are accurately measured. Pressure ratings of 3000 psi (210 bar) for Piston Meters and 6000 psi (414 bar) for Gear Meters are standard. Bi-directional fluid flow measurement is available on all products.